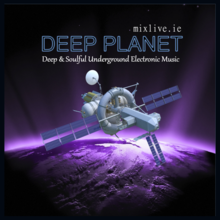 Deep Planet explores the deeper side of electronic music, tracking down those unique sounds from some of the finest artists and labels on the planet. With elements of minimal and dub techno, classic house grooves and beefy techno bass lines. Serving up some deep and soulful sounds we think you’ll enjoy.